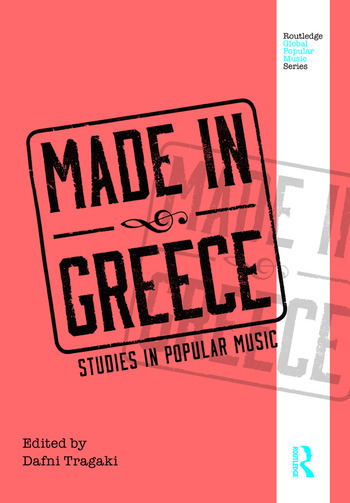 Made in Greece: Studies in Popular Music serves as a comprehensive and thorough introduction to the history, sociology, and musicology of contemporary Greek popular music. Each essay covers the major figures, styles, and social contexts of pop music in Greece, first presenting a general description of the history and background of popular music in Greece, followed by essays, written by leading scholars of Greek music, that are organized into thematic sections: Hugely Popular, Art-song Trajectories, Greekness beyond Greekness, Counter Stories, and Present Musical Pasts. Dafni Tragaki is an ethnomusicologist and an assistant professor in the Department of History, Archaeology, and Social Anthropology at the University of Thessaly.